Where are Abyssinian Cats from? 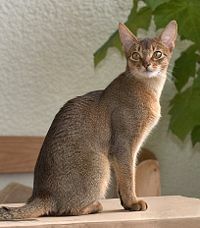 Abyssinian cats, one of the oldest cat breeds out there, is not from Abyssinia (current day Ethiopia,) but from either Egypt or south east Asia. The way that the cat got the name was from the first people to show these cats in England, in 1872. They were from Abyssinia, so the name just stuck. Since the cats look a lot like the paintings on Egyptian hieroglyphics, the place of origin was assumed to be from there. Recent genetic testing puts the place of origin near the coast off the Indian Ocean. The breed of Abyssinians was refined in England. What do Abyssinian Cats look like? 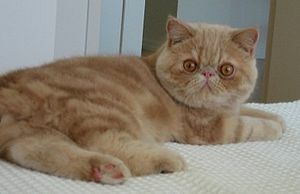 Abys are medium size, muscular cats with a fine bone structure. They weigh between 8-10 pounds. Their paws are oval and their tails are long, ending in a point. They have a broad, moderate wedge shaped face. Their eyes are almond shaped and can be gold, green, hazel or copper colored. They have large ears that are cuped at the base, and can have tufts of hair at the pointed tips. Legs are long. An Aby’s coat is fine, medium length, dense and silky and lays close to the skin. The fur has a base color with bands 3-4 darker colors with the darkest ticking at the tip. Ticking is found only in Abys, Somalis and Singapuras. The most common color in Abys is Ruddy or Usual. Usual Abyssinian have black feet and hind legs. Other colors include Sorel, Blue and Fawn. Rare colors include Tortoiseshell, Red, Cream, Chocolate and Lilac. Silver Abys are their own breed. 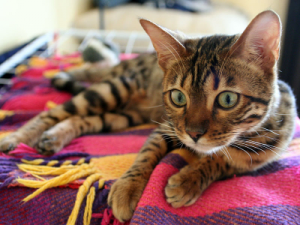 Do Abyssinian Cats make good pets? Abys are fun to have around. They are highly curious creatures and enjoy exploring. Although they are not lap cats, they do enjoy lots of attention, and can get along well with other pets. They are excellent hunters and like to be active. Where can I adopt an Abyssinian Cat? Try the National Abyssinian Cat Rescue. They have branches all across the US. 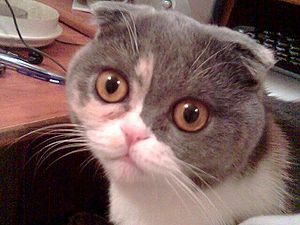 In the UK, The Cat Associations welfare has a dedicated welfare officer whose job is to rehouse cats in distress.